Welcome to the student resources page. Here you will find useful tools and aids to help you during the more challenging parts of the course. Please download and print out the aids and keep them with you. An essential tool to help you learn things in all 12 keys. Right click and 'save as'. Download and use this table to help you remember and recognise II-V-I patterns in all 12 keys. Try writing them out yourself. A lot of the time it really helps to visualise the piano keyboard to help you understand concepts. Download this and you'll never be without one! 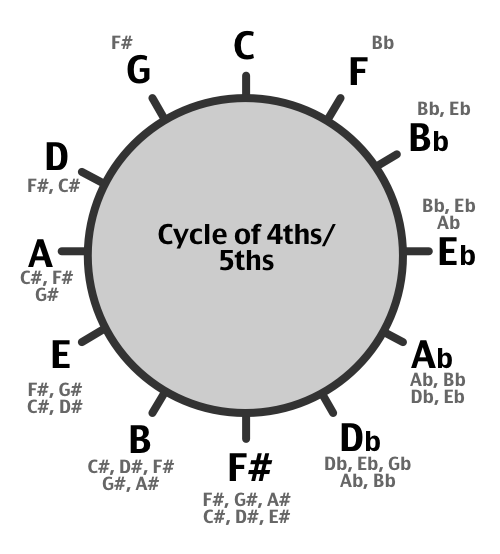 Why not download the basic 2-5-1 chords below too. This will get you started on some great sounding piano voicings. Remember to try and learn them in all 12 keys though!